Next Thursday 26th sees the third and final drop of the Firmament Boys Own tees. To mark the occasion we have invited none other than graphic legend Dave Little to come down and shoot the breeze with us mere mortals. 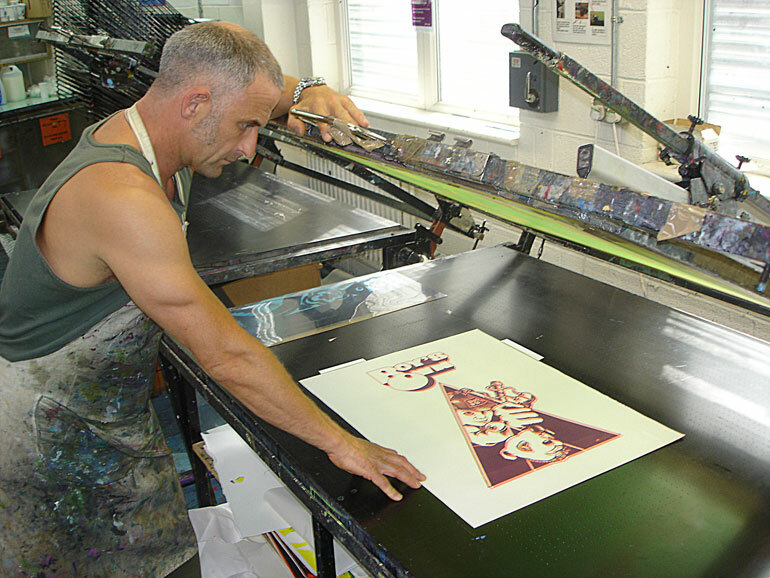 Dave was an instrumental member of the Boys Own crew lending his design talents to a plethora of now iconic graphics. We will be stocking 2 new designs the 'Hear no Evil,' tee and 2 colourways of the 'Boca Juniors' graphic. Tees will go on sale Thursday, and Dave Little will be at the store from 6.30pm. So of you fancy meeting a legend of the genuine original rave movement then please pop down after work.